PREGNANCY PLUS STRESS? TRY YOGA! How does stress affect a pregnancy? There is disagreement among research results in this area. Instead of letting the confusion add to an already stressful time, consider the basics. Studies vary in regard to the source and intensity of the stress. Essentially, where the stress Is less intense, the chance of miscarriage is less. One recent research project looked at the condition of continuous military-political stress, a very intense form of stress. Not surprisingly, a high level of miscarriage was found. Another study established a relationship of miscarriage to stress primarily in the first three weeks. The production of cortisol, a stress hormone, interfered with the maternal hormones which are considered necessary for placentation and the transition from embryo to fetal stage. Research which failed to show a correlation between stress and miscarriage involved a less intense form of stress. The normal stresses associated with the changes coming after the birth of a new baby are more in the mother’s control. Threats of military attack, or even of the potential of a killer tornado during tornado season, are not in the control of the mother-to-be. Therefore, the stress is much more intense and harder on the pregnancy. Doctors suggest that rather than ignoring potential stresses during pregnancy, mothers-to-be need to find non-pharmacological means of stress reduction and relaxation. Medication for stress is definitely not the answer, since such treatment would result in other negative side effects for the baby. There is one tried-and-true stress reducing therapy - yoga - that has virtually no problematic side effects. Not only does yoga have numerous documented health benefits, it incorporates other stress management techniques such as breathing and meditation. It’s always recommended women check first with their doctor; it’s also possible these days to find yoga classes structured just for pregnant women. 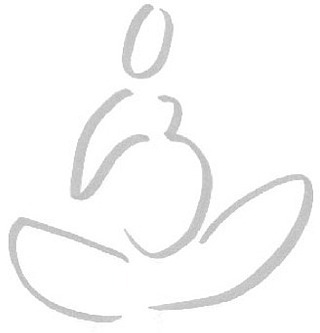 Such prenatal yoga classes should be taught by one who’s very knowledgeable about yoga and pregnancy. Yoga as regular exercise aids in the release of “happy hormones”, or endorphins. These help keep the mother energetic and positive, a great help in coping with the common mood swings of pregnancy. In addition, some of the exercises help to strengthen muscles used in carrying the baby and in delivery. Other exercises help with aches and pains, such as the common back pains associated with pregnancy. When such discomfort is minimized, normal stresses of pregnancy are lessened. While yoga helps on the physical level, it might be necessary, under conditions of the more intense stress, for the mothers to receive counseling and/or help from a support group. Today’s high tech world provides other aids for expectant moms that help to reduce stress. All kinds of mobile apps exist to answer needs of pregnancy. What about apps for finding prenatal yoga classes and other maternity needs as well? With an application creator, a person can even create such an app by himself and tailor it to specific needs. Extra funds - for baby items maybe? - can be earned by running ads on the app. Templates are provided by the conduit app builder which make it much easier to build useful apps. Such apps aid in stress-reduction by providing more resources to meet needs. The bottom line seems to be that the body knows on some level whether or not it’s safe for baby to enter its particular world. The more a mom can be helped to control or manage her stress, the safer it will be for the baby.